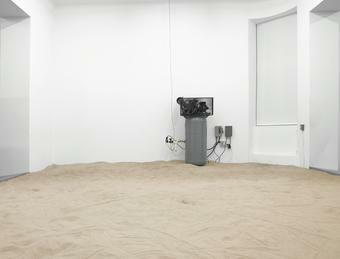 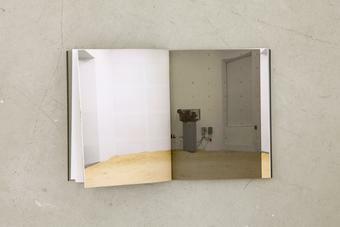 An air compressor is installed in the corner of a room, which is filled with an uneven, 6-10 cm deep layer of sand. 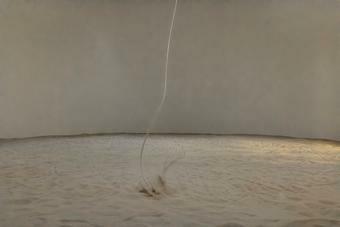 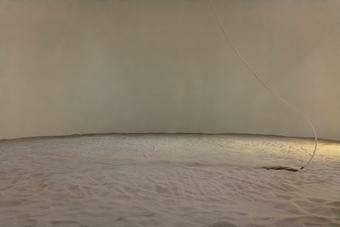 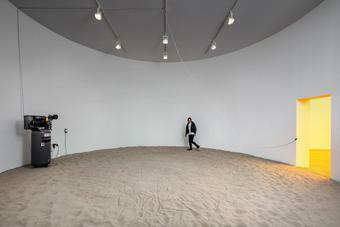 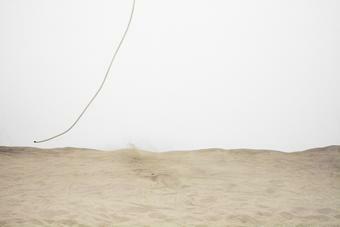 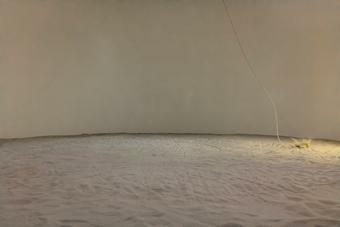 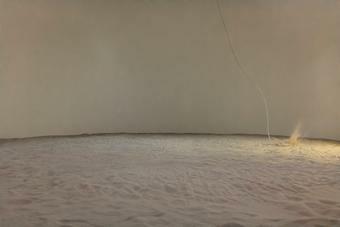 Suspended from the ceiling in the centre of the space, an air hose trails about 100 cm along the floor. 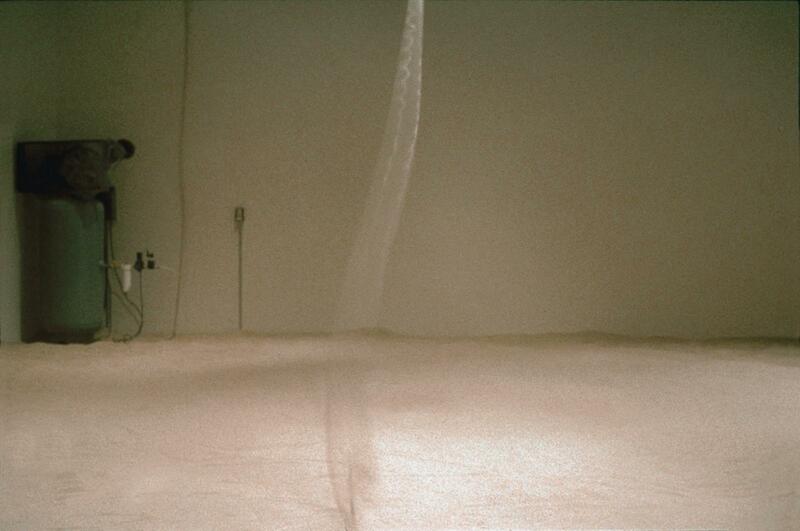 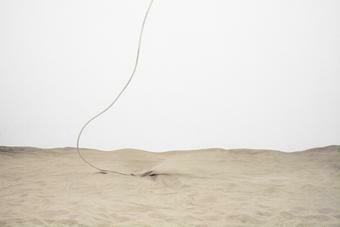 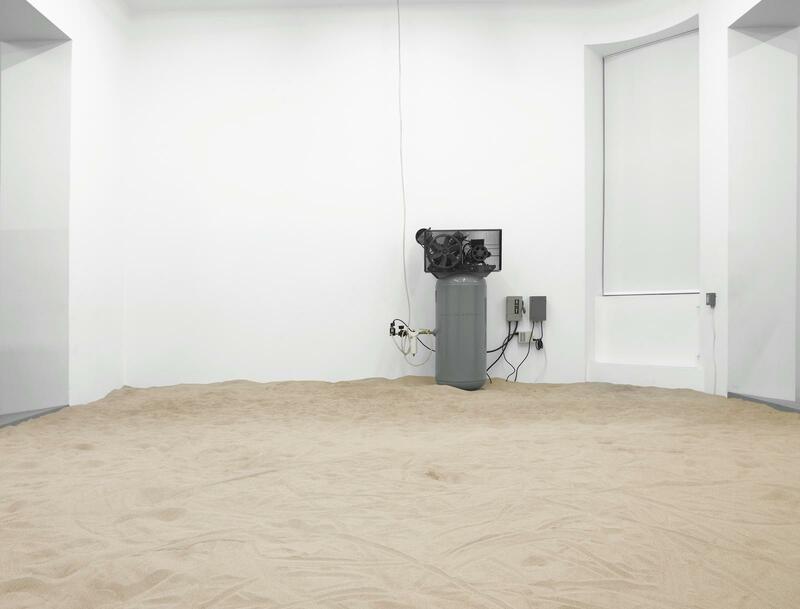 A sensor is connected to the compressor: when detecting the presence of visitors in the space, it activates the compressor, which then emits air via the hose at regular intervals, blowing the sand in random directions.